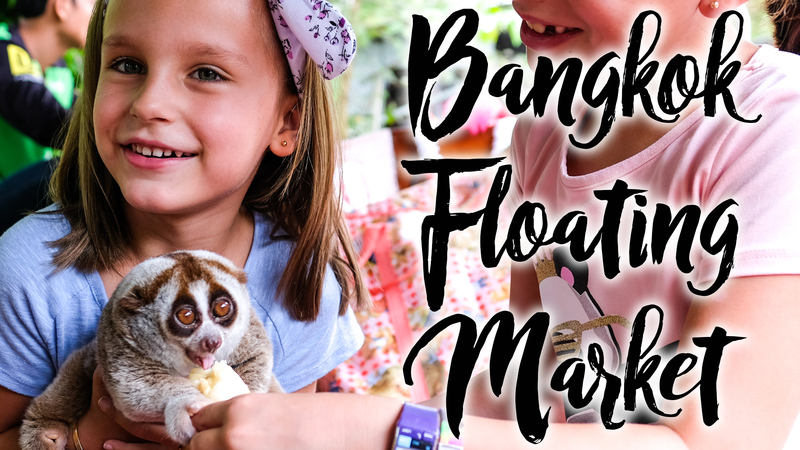 Time for the family to check out the Floating Market in Bangkok and the Maeklong Rail Market in the next entry to our Family Travel Vlog. It started in the morning getting picked up by Mr. Manoon, a driver who we met the night before while exploring the streets of Bangkok with kids. Unfortunately, there was an unusual amount of traffic and it took us a bit longer than expected to get to Damnoen Saduak floating market. Our family finally got there but I have to say, each time we go, it becomes a little more touristy, prices have gone up, and it is more of an amusement ride with trinkets than the market you’d expect. We still made the best of it. The food was great, although a bit pricey for what it was. Most importantly the kids had a blast. After spending a few hours in the canals, it was time for another short drive over to the Maeklong Railway Market. Once there, we had a bit of time to explore before the train came through. It is right there, like reach out and touch it, right there. It was a really cool experience that was capped off by a sudden downpour to finish off the day. 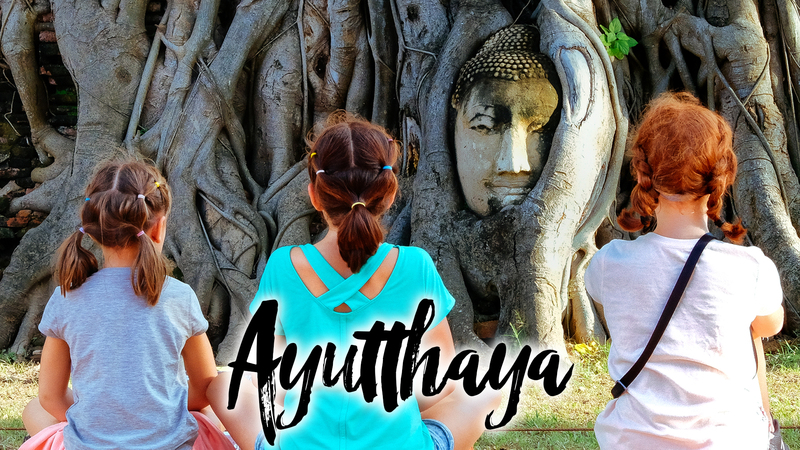 Our family had a great time exploring another part of Bangkok, Thailand and can’t wait to see more of it. Be sure and check back to see where we go next! We are a family of 5, who loves to travel! We have three girls who all have their own distinct personalities which we love seeing how they interact the world in their own individual ways. Every year we step up our trips as our girls become older and our appetite for adventure grows. Be sure and subscribe to see where our family travel adventures take us next.